Every year ThriftyFun gets numerous requests from people looking for help for their families for Christmas. Since we do not have the resources to offer direct help, we have set up this guide to help people find charities in each state. 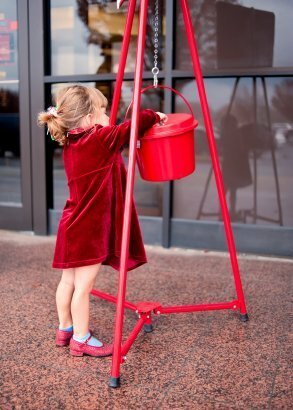 This is a guide about finding Christmas charities in Iowa. Operation: New View, part of the Community Action Agency serving families in Dubuque, Delaware and Jackson counties, sponsors a Santa's Helper's program as well as a Coats For Kids program. The Crisis Center of Johnson County provides food baskets to families in need through their "Project Holiday" program. Hope Ministries , located in Des Moines, has a number of Holiday Outreach Programs. The organization provides gift-bags and holiday meals to homeless men, women and children. Charities that offer help during the holiday season in Iowa. Please post feedback about any charities you may know about.